Although this is not specifically a function of a website, is very important to have a way to collect leads on your website, so that, you can ask people how they found you and turn them into a sale! Did they find you through your twitter account? How about Facebook? Do you have your company listed on the ‘hundreds’ of social media links that can bring in those leads through your website? 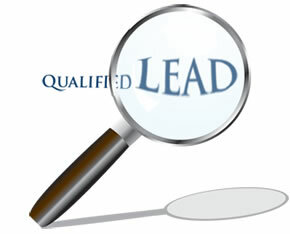 You need the ability to effectively track the source of your leads regardless of whether they came. It’s even better when you have your ‘leads’ automatically upload into a database, so that you can follow up on this! Without having this type of information that you can review on a regular basis, it will be very difficult to track the effectiveness of any of your Internet marketing techniques or strategies. Being aware of exactly what is working and what is not will give you the information you need to make the kinds of decisions that will increase your marketing ROI and online profits.